« Happy Cinco de Mayo, but this is just embarrassing. Portland Hipsters Can Eat Me. No, that’s not a photo shop. It’s a real pig being fed a Bunk sandwich. 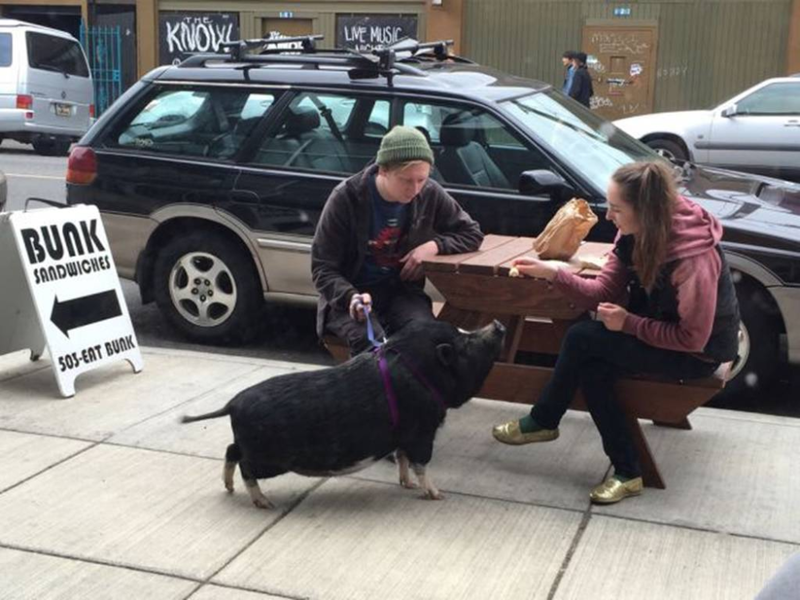 With minimal sleuthing we determined that the hipsters’ porker is standing on the pristine pavement in front of BUNK Sandwiches 2017 NE Alberta Street, Portland Oregon. 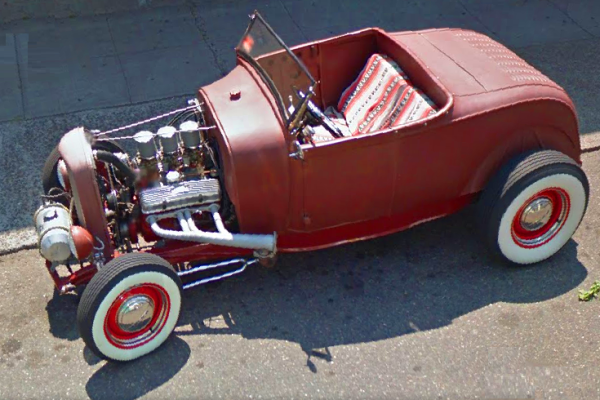 BTW, Google Maps Street View captured this Babe Magnet parked across the street from Bunk’s. This entry was posted on Wednesday, 6 May 2015 at 12:05 AM and is filed under A Bunk Original, Automotive, Babe Magnet, Bizarre, Cool, Food, Humor, New Snot, News Not, Not News, Real News, Retro. You can follow any responses to this entry through the RSS 2.0 feed. You can leave a response, or trackback from your own site.